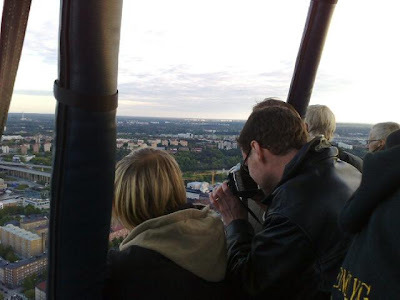 A photo of balloonist Peter Häggström hard at it documenting Stockholm for our viewing pleasure. This photo taken by photographer unknown to us at Stockholm by. Most appropriate. This has been a smashing series.